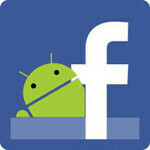 Facebook confirmed today that they will be releasing an update to their mobile app for Android. It’s a pretty major fix-up, including increased speed and a heavily tweaked user interface. The result is an app very similar to the update released for the iPhone in October. This actually completes an odd development cycle for Facebook’s mobile offerings. Facebook lacked an official app for Android for quite a while – apparently they had hired a company to develop it for them, but Google then bought the same company by coincidence, thus creating an even longer wait for Android users. Changes in the updated app include improved picture speed (up to two times faster), a shift in user notifications to the top of the app, and a new side-menu to allow easier access to all of the sundry groups, apps, and feeds you might want to use. Although the release is supposed to be today, at the time of this writing the update had not yet been pushed live to the market, but it should be there "soon". First. About time they updated their app. Well I could say the same for Android fans and their phones, but nothing is ever idle in Android which is why the battery life is so poor on them. ZING! Indeed. I started using the mobile site and stopped using the App because it was just a waste of space, it wasnt as good as the mobile site. Maybe it will be worth using again, we'll see. I rather for people to hate me for what I am than to love me for someone I'm not. I am not on this site to please Fandroids and people who only care about thumbing comments down because they're afraid of handling the truth. I am the reason people come back to PA, I am the most watched person in the comments because I'M THE MIZ, AND I'M....AWESOME!!! Really? Really? Really? I don't care what you think of me. I certainly don't care for any of the hypocrites here, that's for sure. Well, if it's anything like the iOS app, it's gonna be buggy. Just saying that because the iOS app is just like the mobile app and they are both hard to use now. It's hard to use anything on Android without it force closing on you. ZING! They need to fix some major bugs in the tablet version. Lol facebook app confusing to use? Seams like u should get nokia 3210. The update is available. Just updated, crashed and forced close. Damn. I just got the update tonight. I actually like it. It fixed a number of bugs on the tablet version. My only criticism so far is that it is slow to launch. just got the update. the new FB app interface looks similar tohttp://touch.facebook.com.